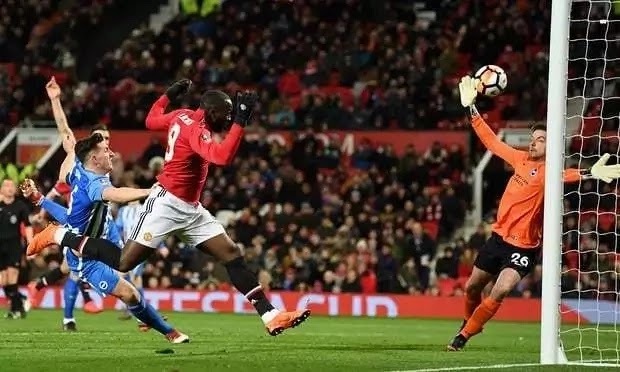 Saturday night, March 17 - Romelu Lukaku and Nemanja Matic scored the two goals for United Premier League giants Manchester United on Saturday night, March 17, qualified for the semi final of the 2017/18 English FA Cup after beating Brighton & Hove Albion 2-0 at Old Trafford. Jose Mourinho and his wards redeemed themselves with this win against Brighton after crashing out of the 2017/18 Champions League. Manchester United were sent out of the Champions League by Sevilla who stunned them at home in the return leg. Brighton however suffered the consequence of their defeat against Sevilla as Romelu Lukaku and Nemanja Matic scored the two goals that condemned them to defeat. Anthony Martial got the first chance to score in the 13th minute when he was set up by Juan Mata, but the Frenchman was unable to beat Brighton goalie Krul. Manchester United goalkeeper Sergio Romero was also superb as he denied March and Gross from scoring at Old Trafford. 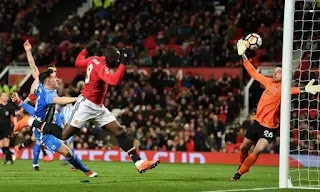 The Red Devils scored their first goal in the 37th minute when Nemanja Matic delivered a clever cross for Romelu Lukaku to score with an header. Matic then scored the second and winning goal also with an header for Manchester United in the 83rd minute as the Red Devils won 2-0. Tottenham have also qualified for the semi final of the FA Cup after beating Swansea City 3-0 in their own quarter final game.